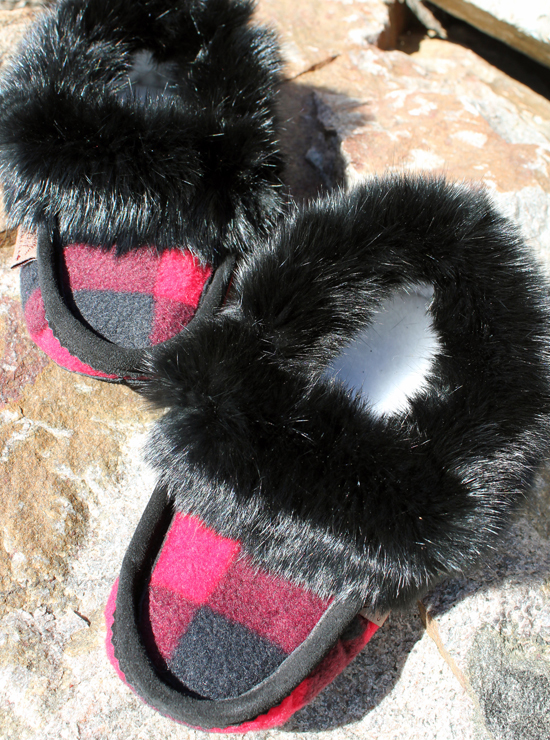 Who doesn’t love buffalo plaid? 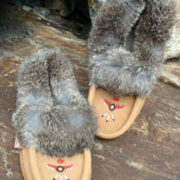 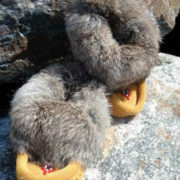 These rabbit fur trimmed moccasins feature the perennially popular design on flannel, and are lined with fleece for a cozy fit. 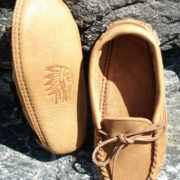 They are fitted with a suede sole adding durability. 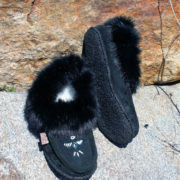 Order half to a full size down from your shoe size for the best fit.